A lot of writers fear the blank page. Much has been written about that empty, white monster staring back at a hapless author bereft of ideas who doesn’t know how to fill the space. And for many aspiring, new writers the blank page can be one of the scariest obstacles to face. I have a confession to make. And I make it with no braggadocio but this is a fear I can’t relate to. I just can’t. Mainly because I can’t recall any time when I was scared of the blank page. Maybe writing term papers in college but I even tried to make those fun much to the appreciation of my professors. 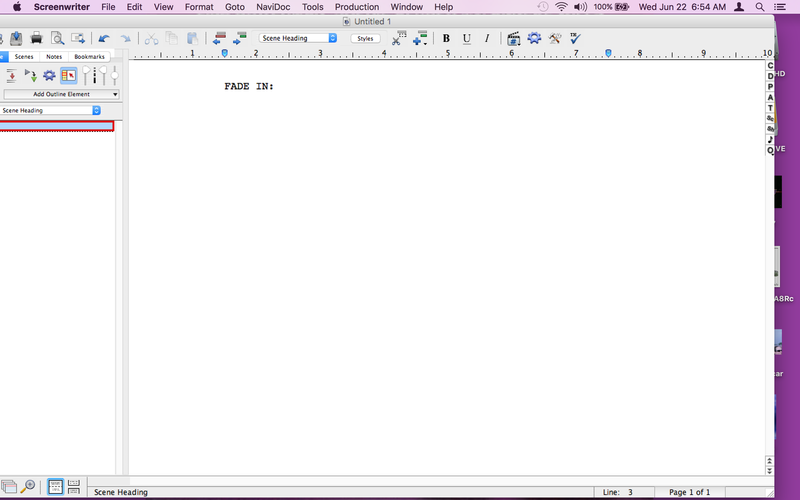 I’m hard-pressed to remember a time when the blank page filled me with any kind of trepidation, nonetheless dread. Not only am I not afraid of the blank page, I actually like it. OK, here’s the real confession – I love the blank page. The blank page is the beginning. Chapter one, paragraph one, sentence one, word one. The blank page is like the last day of school right before summer break. It’s that delicious anticipation of leaving the real world behind an entering another place, another reality or the endless confines of the imagination. Where do you want to go? Gotham City, Tatooine, the prom except this time you’re the best dancer our there, the middle of a football field, a World War I battlefield, deep space, the deepest ocean (Jim Cameron’s probably driving a submarine there now) – you can go anywhere you want through that blank page. It is a writer’s own personal TARDIS. The blank page was my gateway to every story I’ve ever wanted to write. I feel very fortunate that I always saw it like that. Something else that happens to me every time I finish the first draft of a script and I mean, EVERY SINGLE TIME, that I hit fade out and date the cover page – I want to go on again. Like when you were a kid (or an older roller coaster enthusiast) and you finish the roller coaster and your first thought is “I don’t care how long the line is, I want to go AGAIN” or when you put your favorite song on repeat. I want to do that again and again and again. I cannot date too many cover pages. And the way to get there is through the blank page. So as result, I see it not as this daunting white beast staring back at me from the abyss. Instead, the blank page is possibility, imagination, an old friend of never-ending potential. The blank page is EXCITEMENT. Besides, if you blow it on the first few pages, you’re going to rewrite them anyway so seriously no pressure. In my experience, Act One of a script or the first 25 pages get rewritten exponentially more than the rest of the script. Those first blank pages are where you can really screw everything up or to put it another way – it’s where you can really have fun. The top of the mountain is the goal but you can’t get there without starting from where the rock bursts from the ground. My suggestion is don’t run from the blank page. Don’t fear it. Embrace it. It’s our canvas. It’s where we find our stories, sometimes even find ourselves. It’s where we face our fear and discover our bravery. The blank page is where we become writers. *And if you’re wondering what’s happening at night in Deep Space, then I’ve really done my job.